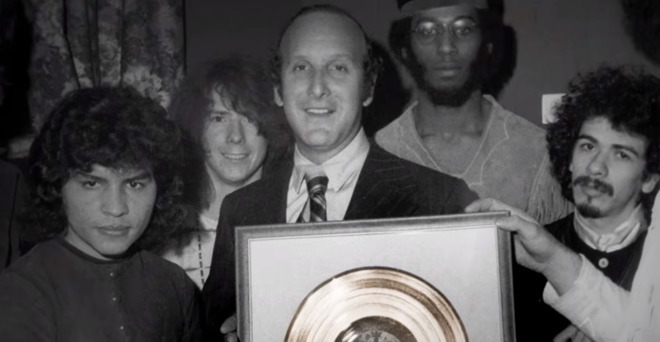 Apple has posted a trailer for "Clive Davis: The Soundtrack of Our Lives," announcing that the documentary —long on the company's slate —will finally make its Apple Music premiere on Oct. 3. Directed by Chris Perkel, the film is based on an autobiography by Davis, a music industry executive known for grooming the careers of many hit artists such as Whitney Houston, Bruce Springsteen, Janis Joplin, and Sean "Puffy" Combs, himself featured in a recent Apple documentary. It includes a mix of modern and archival footage, and was produced by The IM Global and Ridley Scott's Scott Free Productions. Word of the movie first emerged in April. It was in fact screened at that month's Tribeca Film Festival, and followed by a concert featuring serveral artists linked to Davis, such as Aretha Franklin and Barry Manilow. It's unknown why it took so long for the film to make it to Apple Music, which will be its exclusive streaming home for the foreseeable future. Many of Apple's entries into original video have been acquired documentaries, such as "808." The company switched tacks with "Planet of the Apps" and "Carpool Karaoke," and is now expanding its team and budget in a bid to produce higher-quality shows. It's even rumored to be pursuing rights to the James Bond franchise, something that could cost billions if successful.